Home, Door & Window Products has been the number one supplier of high-quality storm doors in the Greater Detroit Metropolitan area for over three decades. Home and Door takes pride in the fact we are known for providing our customers with outstanding service and excellent durable storm doors for their homes or businesses. Home and Door has a variety of gorgeous Fox storm doors and Trapp storm doors on display at our stunning showroom in Berkley, Michigan. Our security storm doors are energy efficient and cost effective, saving our Clarkston customers money. Clarkston, Michigan has a population of approximately 1,000 residents, lies in Oakland County and has been designated as a Michigan State Historic Site. Clarkston has easy access to I-75 and US 24 and is near our showroom in Berkley, Michigan. Our Clarkston customers know that Home and Door is the place to go when they are looking for custom-built storm doors. Having a sturdy storm door not only adds beauty but it also increases security. Home and Door has an outstanding reputation with over 150,000 satisfied customers. 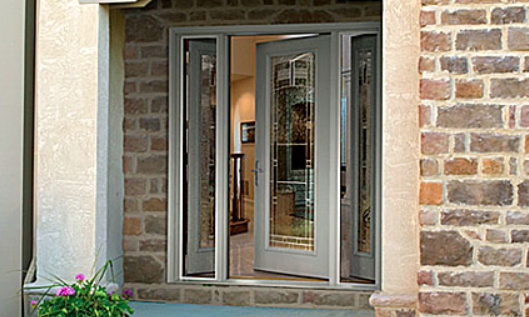 Home and Door has a large selection of stunning Fox storm doors and Trapp storm doors on display. We have storm doors in a variety of styles and colors, and the options are limitless. Home and Door’s sales team are experts on the latest technology, so you will be guaranteed to receive the best high-quality storm door available. Contact the staff of Home, Door and Window Products at (248) 399-9900, to set up your FREE consultation. We have the best security storm doors on the market!